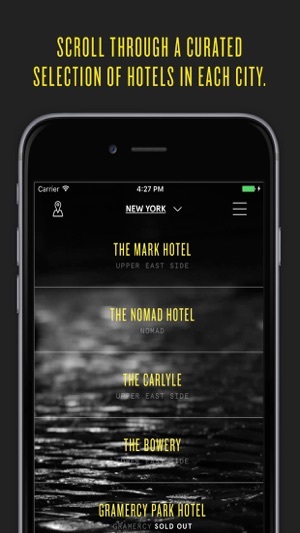 One Night is your app for same-day bookings at a selection of handpicked hotels in major cities in the US, UK, and Thailand. 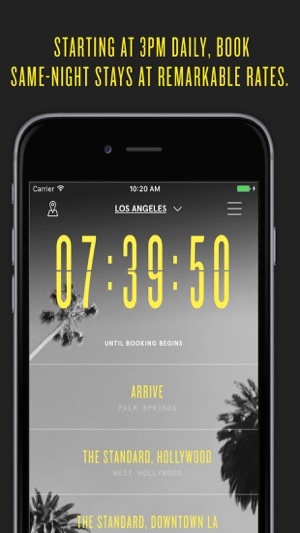 Starting at 12 pm​ daily, users can book up to 7 nights of incredible last-minute rates. 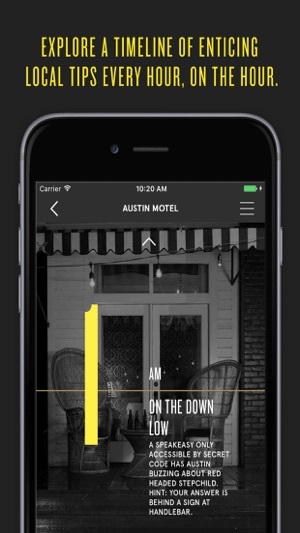 Plus, the app provides an hour-by-hour experiential timeline of insider tips that allows guests to maximize their stay. We believe that no remarkable night should be spent in an unremarkable setting. You only have One Night, what will you do with it? 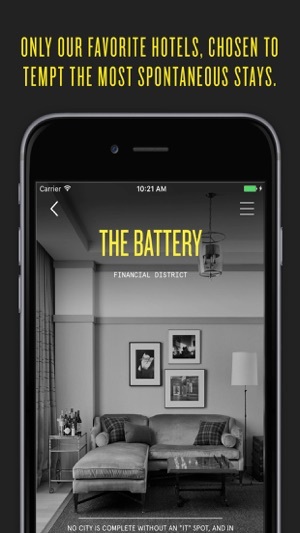 Enhanced design features that make selecting your city and hotel, and booking up to a 7-night stay that much easier. Great rates for day of travel. Not always easy to get your number one hotel pick, but there are enough hotels offered in the city so if your flexible your sure to get a great rate for an evening stay. Me and my boyfriend recently used the app in NY and had the best time. We missed our flight so had to stay and extra night and it was super easy to book. The hotel also treated us amazingly!!! I booked a night at The Gramercy Park Hotel on the app a few months ago and it was such a wonderful experience. The app gave me a great rate and I was able to enjoy a lovely staycation in NYC! Highly recommend.